In July 2017, Calvary hosted its 30th Annual Golf and Tennis Classic at Brae Burn Country Club and Center in Westchester Country Club. Since 1989, the annual event has generated over $5 million in support of a wide array programs that positively impact our patients, families and community. 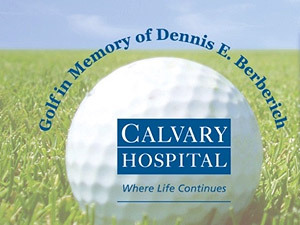 For more information, contact John Dougherty at jdougherty@calvaryhospital.org or visit www.CalvaryGolfTennis.org. Calvary Hospital held our 33rd Annual Awards Gala at The Pierre in New York City in November 2017, raising nearly $1 million to benefit of our patients and families. 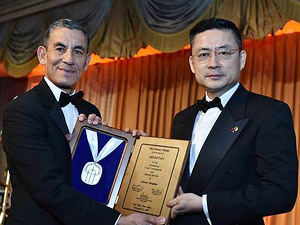 Adam Tan, Vice Chairman & Chief Executive Officer, HNA Group Co., Ltd. received the Calvary Medal in recognition of his distinguished corporate and civic leadership, and outstanding philanthropic commitment. Ryan Field, WABC-TV Sports Anchor, served as the Master of Ceremonies for the evening, the highlight of which was a performance by RAIN: A Tribute to the Beatles. In September 2017, more than 225 adults and children participated in the 15th Annual Dan’s 5K Fun Run/Walk in the Gerritsen Beach section of Brooklyn. 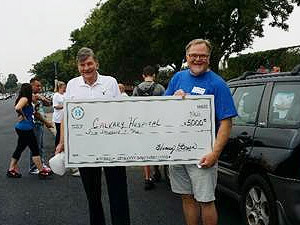 The event was organized by Dan Foster, a local cancer activist, 21-year cancer survivor and longtime volunteer for the Brooklyn-based Circle of Hope Cancer Foundation, which has donated over $115,000 to Calvary over the past 11 years. To learn how you can support Calvary by hosting your own fundraiser, please click here. 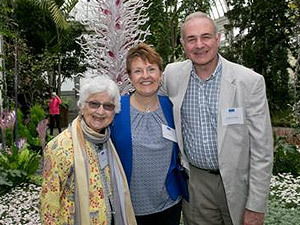 In April 2017, Calvary Hospital hosted our Annual Society of 1899 Planned Giving Program and Reception at Christie’s in New York City. Guests were treated to a reception and private viewing of Christie’s “Betsy Bloomingdale: A Life in Style” sale. Thank you for choosing to support Calvary Hospital! Your support ensures Calvary’s ability to provide comfort, care, and love to our patients and their families while together during their precious remaining days. Together​ ​Calvary​ ​Hospital and​ ​our​ ​loving​ ​supporters​ ​have​ ​set​ ​the​ ​world’s​ ​standard​ ​of​ ​care;​ ​we​ ​treat the​ ​medical,​ ​emotional​ ​and​ ​spiritual​ ​needs​ ​of​ ​our​ ​patients​ ​and​ ​their families—we​ ​call​ ​it​ ​CalvaryCare​SM​. If you would like to propose an event, please email us at: calvaryevents@calvaryhospital.org.